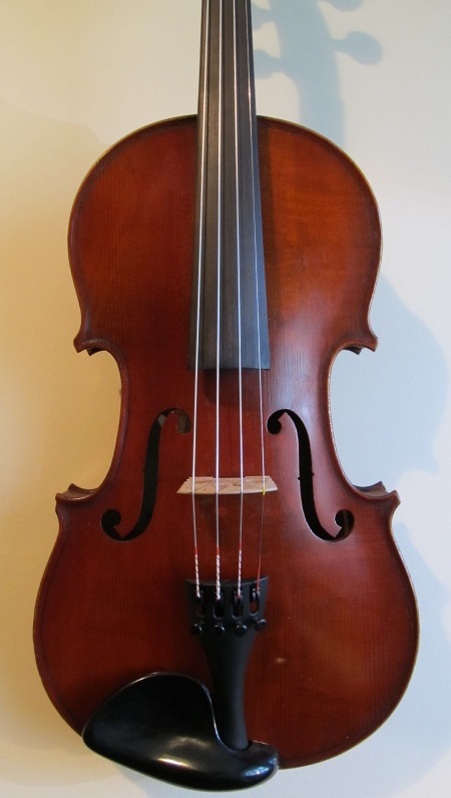 Early 20th Century French violin, labelled Medio Fino and with the JTL logo. 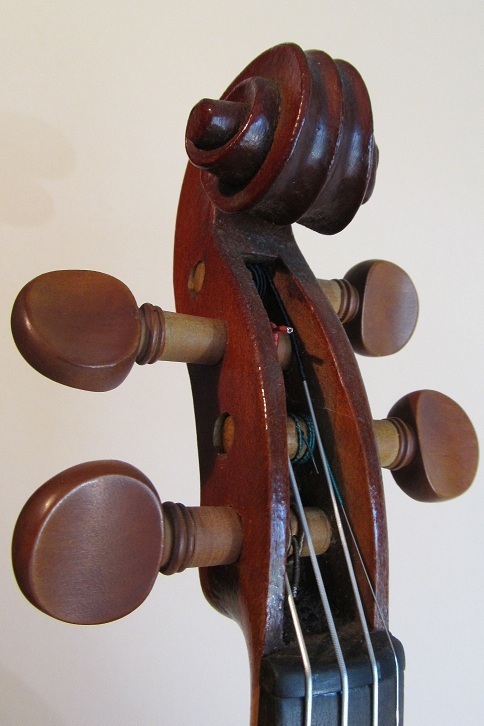 These violins were produced as student instruments in Mirecourt, and are generally constructed with plain maple backs and scratched-on, rather than inlaid purfling. There were no shortcuts taken in their manufacture, however, and they are famous for their excellent sound. They seldom stay in my workshop for long. Condition: There is a tiny chip missing from one front corner, hardly noticable. 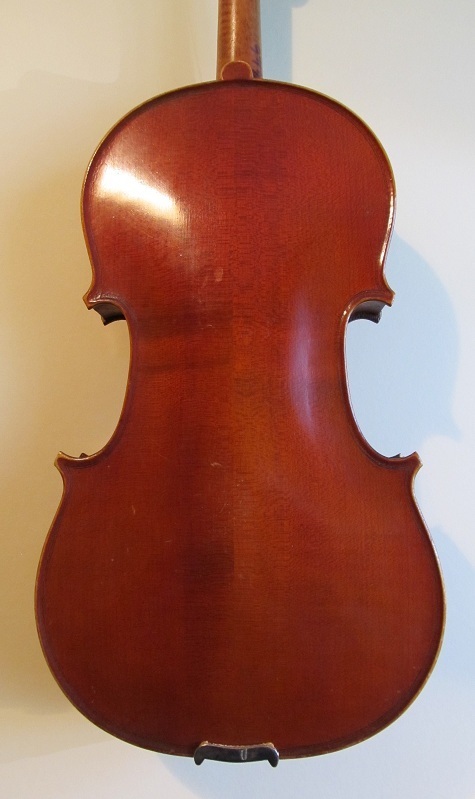 A couple of light varnish scratches, but overall very clean, and with no cracks or repairs. Set up with a new bridge, new boxwood pegs, Wittner tailpiece with integral fine tuners, and Pirastro Tonica strings.